If you have narrowed down your mattress search to the GhostBed and the Leesa, you may need help making your final decision. I have broken them down based on their construction, firmness, and who I think each mattress would be a good fit for. Which is the right mattress for you? Read on for my full comparison. They are both all foam mattresses. They have similar base polyfoam layers. They both have memory foam in their second layer. The GhostBed is firmer than the Leesa. The GhostBed is thicker overall. The comfort layer on the Leesa is thicker. 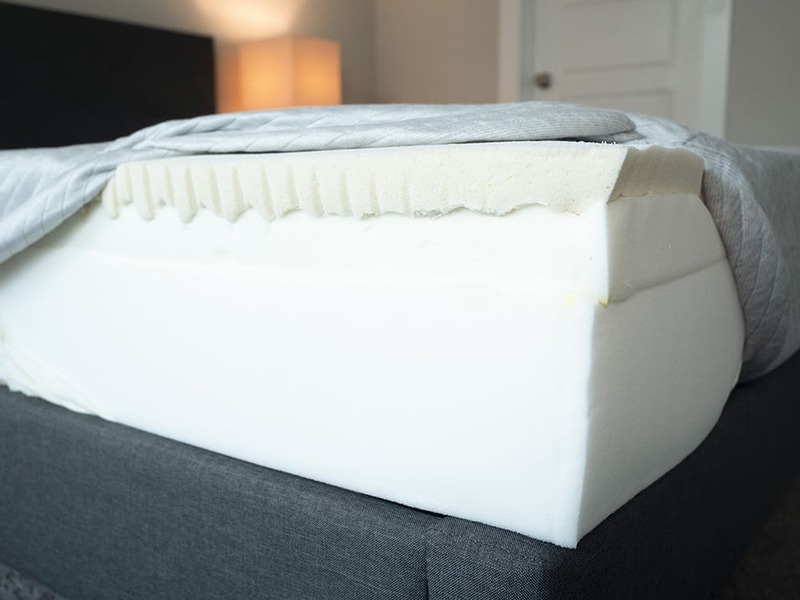 GhostBed uses latex, while Leesa uses Avena Foam, a latex-like foam. Read our full GhostBed review, HERE. Read our full Leesa review, HERE. They both have soft, thin covers. They have similar polyfoam base layers. The comfort layer is just a bit thicker on the Leesa. This could be good if you are a heavier side sleeper, so you don’t bottom out. 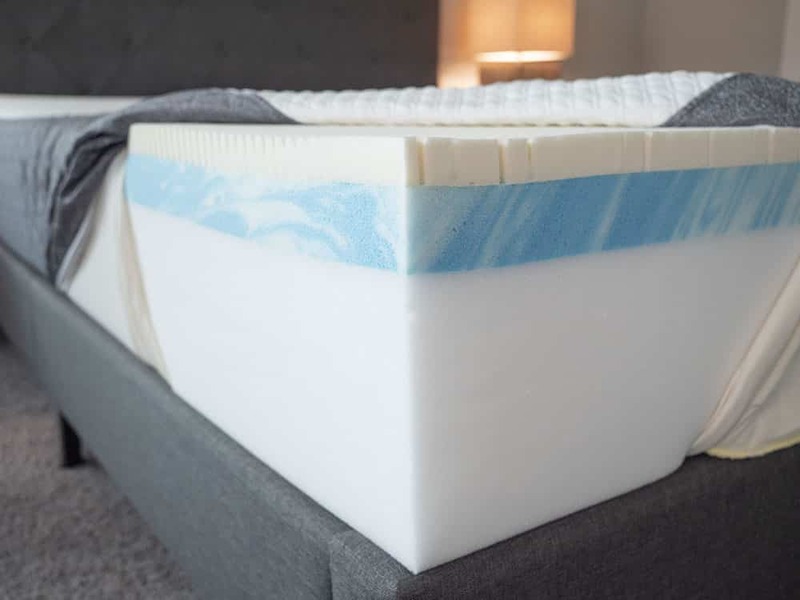 On both mattresses, you get pressure relief from the second layer and response and bounce from the first layer. The top layers in both mattresses also help with cooling. While the constructions of these two mattresses are quite similar, they do have different firmnesses. For me, the GhostBed was a 7.5/10 and the Leesa was a 6.5/10. With the GhostBed, I definitely felt supported when I was on my back and stomach. With the Leesa, I felt nice pressure relief when I was on my side. Watch the video below to see GhostBed’s balanced foam feel and how it reacts to pressure. 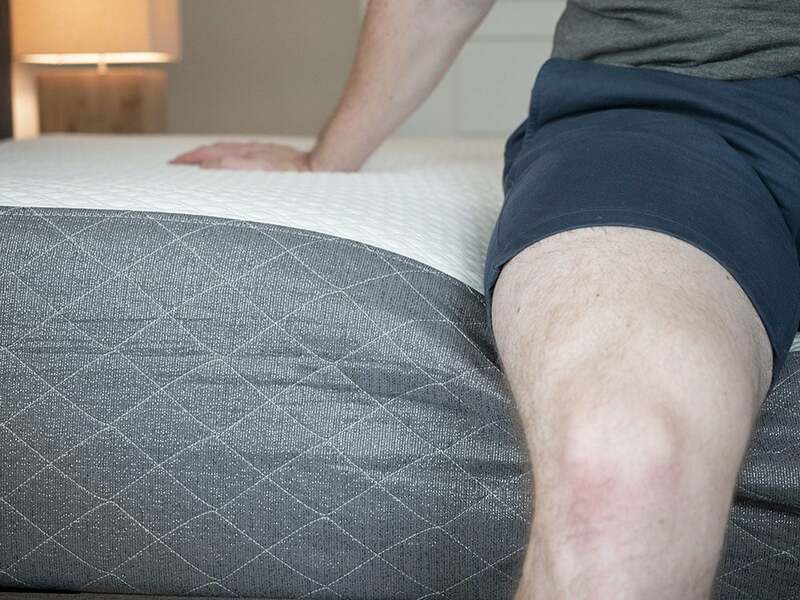 Watch how the Leesa offers good pressure relief without you getting “stuck” in the mattress. It should be easy to mover around on this mattress. They are very close in terms of motion isolation, but I think the Leesa performs just a bit better. I saw less motion transfer during my tests. I think, if you sleep with a partner, the Leesa may be the better choice. Watch the two videos below to see the motion isolation differences between the GhostBed the and Leesa. The GhostBed is the firmer of the two mattresses. Because of this, I had an easier time sitting on the edge and lying down near the edge. I didn’t feel like I was going to fall off in either position. For the Leesa, I said it was a 7.5/10 and, for the GhostBed, I said it was an 8.5/10. On the Leesa, when I was on my side, I felt decent pressure relief on my shoulders and hips. There was a bit of firmness, but not too much. On my back, I felt good overall support. However, on my stomach, I felt myself bow at my hips. On the GhostBed, when I was on my side, it was a little too firm for me. I felt some pressure on my shoulders on my hips. On my back and stomach, I felt good overall support. That being said, if you’re my size and a side sleeper, I would go with the Leesa. If you’re my size and a back sleeper, either mattress should work. Finally, if you are my size and stomach sleeper, I would go with the GhostBed. Marten is a different size than me, but he agreed that the GhostBed is the firmer of the two mattresses. Because of this, he also felt that the Leesa felt better when he was on his side. Also, while he felt decently supported on his back with both mattresses, he needed the firmer GhostBed to give him the support he needed when he was on his stomach. You prefer a firmer mattress. These mattresses are similar in many ways, but the GhostBed is clearly firmer. If you prefer a bit more support or like the feeling of firm mattress, this is probably the better choice. You sleep primarily on your back or stomach. 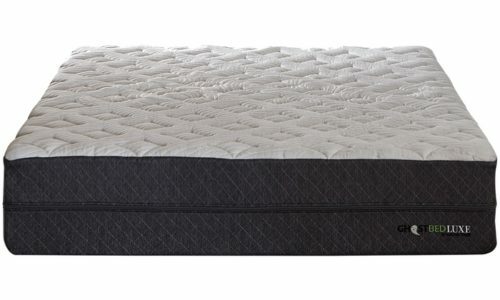 Since this is the firmer of the two mattresses, it offers more support for when you are on your back and stomach. With the Leesa, your hips may sink in more, taking your spine out of alignment. You prefer a bit softer mattress. The Leesa is the softer mattress so, if you want extra pressure relief, this may be the way to go. You are a side sleeper or heavier side sleeper. The Leesa has a thicker comfort layer and is a softer mattress than the GhostBed. It relieves pressure well on the shoulders and hips. Also, heavier side sleepers, shouldn’t bottom out on this mattress. The GhostBed and the Leesa are alike in many ways. They have similar constructions and overall feels. The main difference is their firmnesses. The GhostBed is firmer and could be a better match for back and stomach sleepers. The Leesa is softer and may be a better fit for side sleepers of many sizes. Please leave any specific comments or questions about the GhostBed or Leesa in the comment section below.